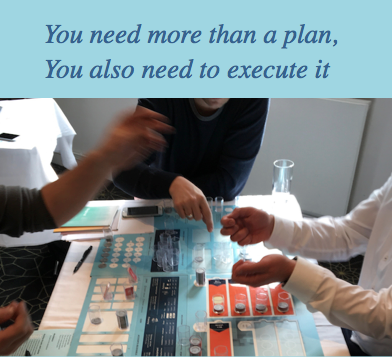 You need more than a plan – how to make it happen? A lot of managers ask themselves if you can learn how to make a strategy and if you can really train it. The best is in practice as it is too complex and there are too many issues that matter. Yes – true – but making this experience in reality can kill not only the manager but the whole company. So why not learn in a simulation, like all pilots do? To implement a strategy is not to do one step after the other, but to balance changes in at least 7 areas at the same time, one impacting the other. And there is no tool to help you, it is a question of balance. But there is more than to know what could happen to the business and your financial results – what will happen, if you communicate it to your people? 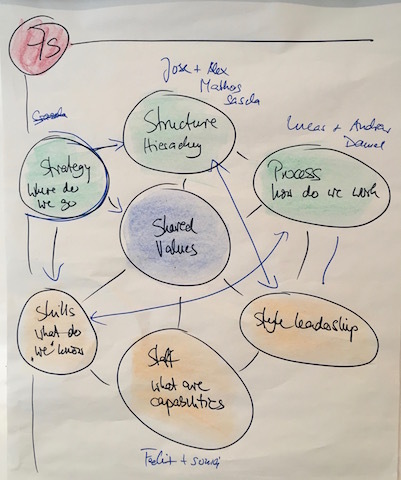 A very nice framework for that is the nice old 7S model of McKinsey – which gives you at least a perspective of 7 fields to think about. What would happen here, if you strategy is communicated? Where is resistance? What do we need to change? What implications does it have? A lot of questions to be answered, but before all that, you need to have a strategy that is not only in the “air”, but written down and understood. It is a long process to involve them all, at least the ones who to make the decision and to announce it. You need more than a financial figure as a goal. There needs to be a vision, how the company looks like in five years time: “Who is our customer than, what is the service or product we offer, how and through which channels do we supply? And of course – why do we do this: Where do we earn the money?” The vision should cover these topics to give answers and explain why. Why is the most critical issue. If you need inspiration to it – use the TED talk video of Simon Sinek as millions have done. But the main point: To work on this you need head and soul – this is all about the future of a company and of people, and it needs to work with figures and emotions. If you are unable to communicate the strategy, you create fear, resistance and passive behavior – so work on both sides, hard and soft facts. Happy Strategizing !